Are there really times when something is truly the best there is? Yes this is the quiet, or maybe not so quiet, question of this issue. And the answer we hope you possess is of course: a resounding yes! There definitely are some moments when we really do seem to possess the best of this or that. So when do you think some of those moments might happen along for you? Designing your own miniature wicker furniture in your personal favorite scale. How could it not be mentioned? However just get thinking today of amazing goals you have seemingly left on the shelf of life. You could surprise everyone, including yourself as to what you can do when you put your mind to it. And then as well remember some of those times that in your opinion were "the bests" of your life. Then seek to recreate some of those moments just for you today. List your victories and excitements you have accomplished in these next sections. Please note: Our Guidelines for submission can be found here. Also follow along with each pages specific topic. Thanks. Step 1: For this project what I have done is, found a nice picture online to use as a guide to create my display. *See the photo of my example. * You may want go for the interior design pics online and get one that is especially pleasing to your own eyes. Search now using this convenient link. Step 2: Study the picture that you have chosen. Make plans to keep this picture choice in front of you at all times. Step 3: Determine what you will need for your display. 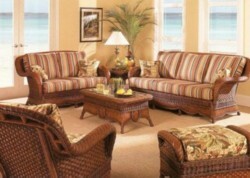 In the above picture we discover that I will need furniture that will look like wicker. Include all of these examples: table, chairs, couch, pictures, windows, wall finish, lamp, fern, floor finish, small features for character and anything else I may want. Step 4: Decide whether this will be a simple room display such as in this book. Or whether you will create a room for your current mini mansion itself. Step 5: Choose your scale model size first not last. I of course chose my favorite and I would advise that for you too. Unless of course you have a desire to work in a totally new scale. Life should always be full of adventures even when designing and building a mini structure. Step 6: Designing your own furnishings and other elements is an amazing goal. If you want to do this you should go with what is in your own heart to do. However I chose to incorporate ready-made everything to accomplish my Fashion Doll Miniature Wicker Furniture Display. In order to find a miniature wicker furniture piece I chose to go with designs from plastic canvas pattern books. They are the closest items that resemble wicker. As well you can use this method to create any dollshouse display you desire. Simply find a picture you like and simulate it in mini. Step 7: Bring all of your chosen elements together and finish your project. View or Buy Tiny Accessories Mini Bottle Bibs for Barbie. This section goes with the previous one. Where we have mentioned designing a room box or dollshouse room in any scale. For our products in the spotlight we have chosen to illustrate some of our suggestions for starting or finishing your design above. The imagination is a powerful tool when used to encourage and inspire what you as an individual like or even what you do not care for. At least you come to some conclusions in the process. So explore and imagine what each item below could hold in store in regards to your own miniature wicker furniture display. And always, always never give up on what you truly want or wish for. You are worth every effort you make in your life. Join the On-Going Excitement on At-the-Doll-House.com. Tell your friends and family members today. Check our site out here. Free EBook Offer 10 Important Tips to Great Doll House Design! Get our new free ebook today. Learn how to start your current miniature project with the enthusiasm it and you deserve. Your Barbie Doll House Plans Barbie Plans made Easy. Choosing the route to take for Barbie doll house construction just got a lot easier. Come along and see how you too can create the dollhouses you've always wanted. Your Wooden Mini House Plan Wooden Plan: Complete your dream mansion in wood. Can you work in wood? If you can then the sky is the limit. Imagine creating all those special little features yourself. Work-at-home-moms!Even if you are only working on private crafting projects at home like the one above, a miniature wicker furniture display... You know you can do anything you desire... and that... Work-at-home-moms are a breed unto their own. 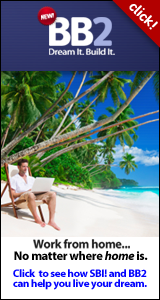 So do you have it in you to work from your home? Find out if you do. Take this course. Begin today! To see more issues like this Miniature Wicker Furniture Newsletter online click here.